The invention of the bow and arrow revolutionized human life. Sure, it’s no smart phone, but let’s just take a quick gander at all the awesome things that the bow has done for us. First, ancient humans from the last glacial period used it to hunt animals for food. Second, it was the weapon that made Robin Hood way cool. Also, how would Legolas put the beat down on so many orcs if he didn’t have his trusty bow and arrow? Katniss might have had some trouble during her trials had she not had her bow! Yes, humanity would probably have been doomed without the humble bow and your costume experience may share the same fate if you don’t bring this toy bow with you! 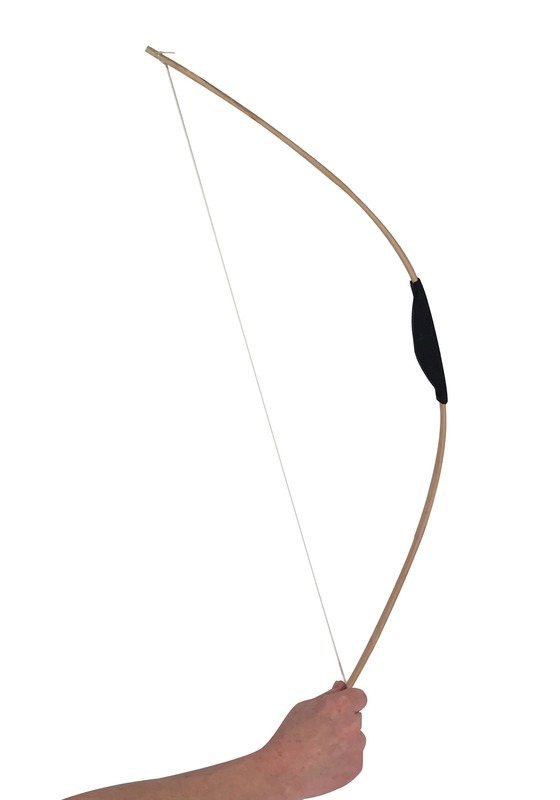 This toy bow lets you look like a skilled archer! The bow looks much like the real ones wielded by hunters, rangers, warriors and plenty of other pop culture heroes. Whether you use it to feel like Robin Hood, or take along with you to your next role playing adventure.